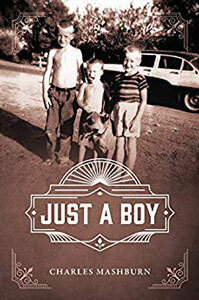 Charles Mashburn's coming-of-age novel, Just a Boy, tells the story of a boy growing up in mid-twentieth-century Buckeye, Arizona, a time and a place that allowed children to roam without care. In todays chaotic and challenging world, we all need encouragement. For the past fifteen years, my wife and I have utilized various daily devotionals for that helpful dose of inspiration to start our day. In this fictional tale, Charlie lives in his own private paradise, where He writes and often entertains unexpected guests. A river runs through his property, and God lives on the other side. 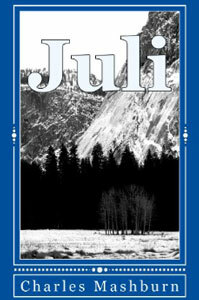 I'm Charles L Mashburn, author of BE STILL, JUST A MAN, JUST A BOY, JULI, AND OTHERS. And I'm here to tell you: Life is a whole lot better than you think it is! And, just so you know, I have very few qualifications for writing books about God other than, My love for Him, and of course, His love for me. 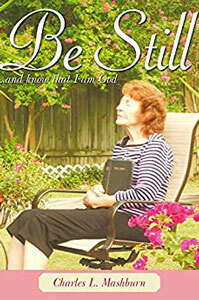 I wrote my first book of encouragements BE STILL, for my mom (she's the beautiful redhead on the cover) but soon discovered I'd begun something a whole lot bigger than I'd thought it would be. And, I found I couldn't stop. It didn't take long for me to realize that the simple words of encouragement were not only for Mom, but they were also for me and YOU! Because, quite obviously, we ALL need encouragement! You see, I don't believe in coincidences. I think you came to this page because God sent you here. I believe God has a plan, you and I are a part of His plan, and your visit to my website is a step along the way. You can learn more about me and my books on the AUTHOR and BOOK pages of the website, and you can order them here by clicking on the TITLES ABOVE, or the BOOK COVERS below. Or, by going to the ORDER page, or simply searching for me on AMAZON. You can purchase anything I've written there. BE STILL consists of 365 devotionals I prefer to call ENCOURAGEMENTS. My hope is that they will give the reader a solid and positive foundation to start their day. If you're like me, you need a little help to keep you on the right track. My NEWEST BOOK of encouragements, JUST A MAN, doesn't have 365, and the encouragements are shorter. I thought it might be better suited for folks on the go, as most of us are these days, offering them a quick way to start the day, and maybe even a shot of something encouraging throughout the day. If you're like me, you need a quick lift periodically to keep your spirit high all day long.